I started out my morning at 6:00 AM, when the theme to Indiana Jones roused me from my slumber. I had packed my bag the night before and was so excited to get back in my daily exercise routine. It felt oddly comforting to put together an exercise bag, filled with the same set of equipment I've been using for years. Suit, drag suit, goggles, running shorts, shoes, socks, shirt, shampoo, protein bar, and my towel. After splashing some cold water on my face to wake up, I left on the twenty minute walk to the YMCA. It was an nice, relaxing walk. The city's hum was rising as the cafes opened and people began their morning commute. I made it to the YMCA and walked on in. I walked down to the front desk and chatted with the attendant. I can use my US membership five times for free, but will have to get a student membership after that. (Which, at £107 for the remainder of my time here, seems pretty reasonable.) After checking myself in, I toured the facility. It's a great place, and well-designed for the city. Space use seems to be really maximized, yet it seems quite spacious and clean as well. 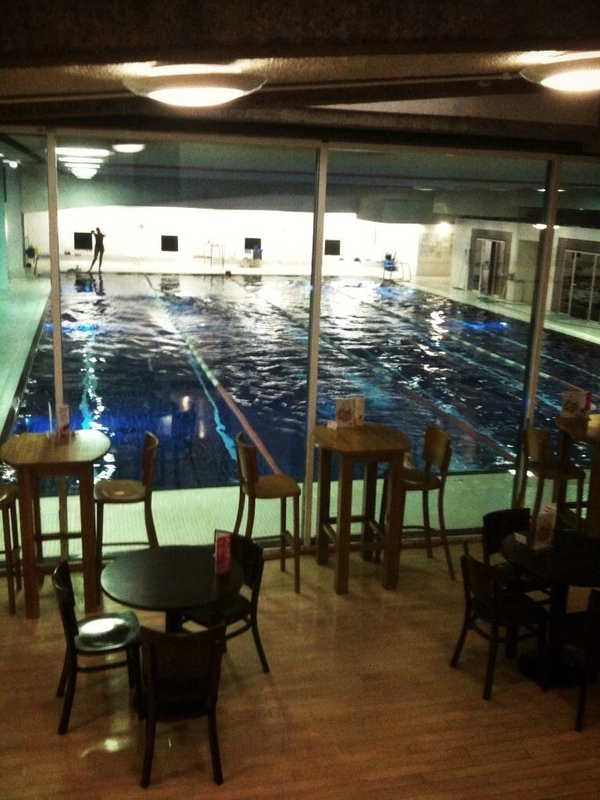 There are weights, cardio machines, a basketball court, spa facilities, a juice bar (reminded me of home and FUEL!!! ), a lounge, a lending library (which supplied me with a copy of The Curious Incident of the Dog in the Nighttime), and, best of all, a lap pool! Swimming turned out to be quite an adventure in itself. The lanes were sorted slow to fast, but some of the lanes were set to swim counter-clockwise, which is totally different from how I swim in the US. I also was not allowed to use my snorkel for safety reasons, which kind of bummed me out, but the pool is really nice and has courteous guards and fellow swimmers. 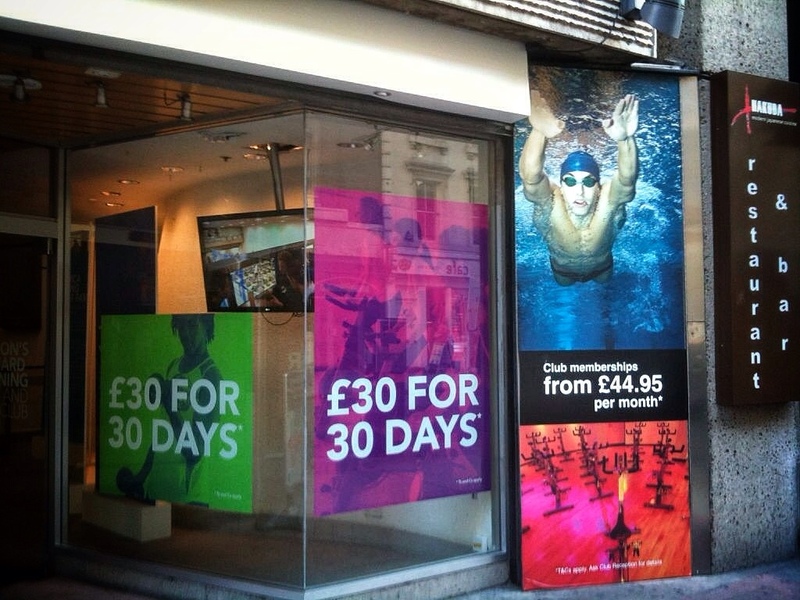 I'm also planning on joining the swimming club which meets twice a week, so that will be a fun way to meet my fellow aquaticly-acclimated Londoners. It was a perfect way to start my day, and I plan on making it a daily routine. Tomorrow I will also have time to check out the weights and cardio machines, which should add even more to my workouts. Exercise is a great way for me to zone out and completely remove myself from city noise and chaos, which is a nice break sometimes. I can't wait to get into my full routine, and live a healthy English semester. Yay! MistrySwimmer is back at it! Way to go, E! 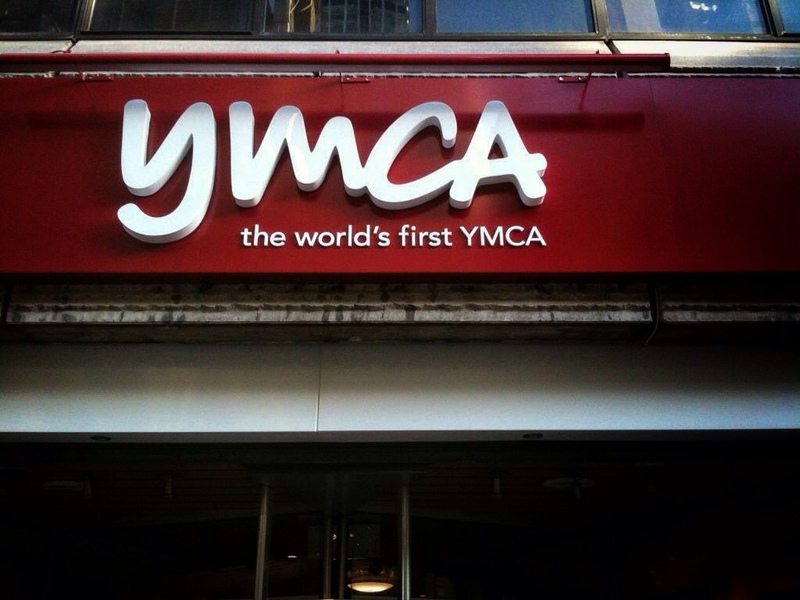 I really like the YMCA font in the first picture… any idea what it’s called? Thanks!